Give your clients the most value by using the most efficient tool to negotiate their hotel programs. 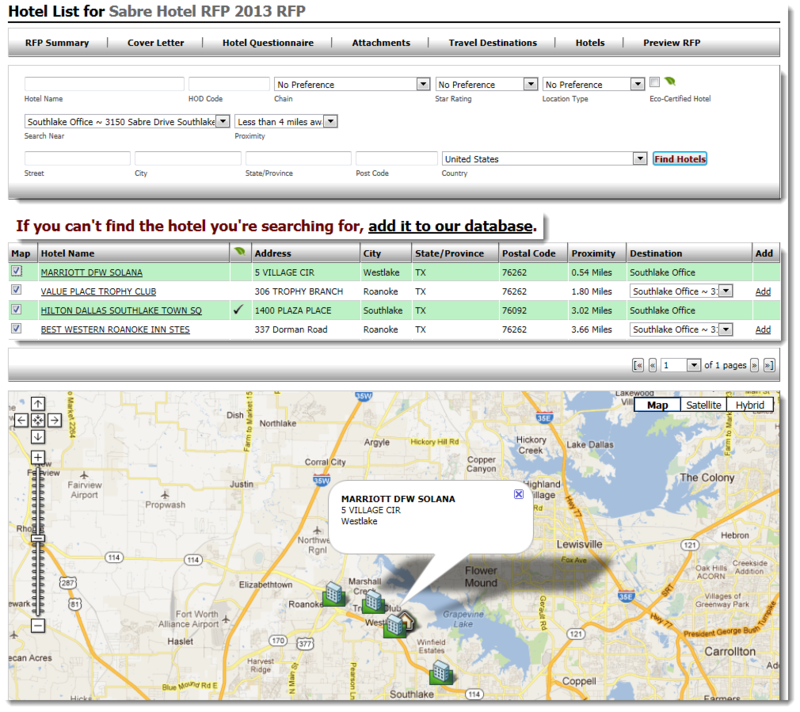 Sabre® Hotel RFP helps you to streamline the management of RFPs, reports and hotel directories. Join the nearly 2,700 corporations and travel agencies that have selected the award-winning Sabre Hotel RFP tool. Sabre Hotel RFP (Request For Proposal) is an online marketplace that unites corporate travel buyers with hotels and chains to solicit, negotiate, finalize and audit their corporate transient hotel programs efficiently. In 2016, Sabre Hotel RFP travel buyers initiated over 81 million requests for room nights and rates worldwide - totaling more than $10B in transient room night spend. Uncover hotel savings for your clients with Sabre Hotel RFP, no matter that GDS you utilize. Maximizing your resources and streamlining your client's hotel programs has never been easier. Quickly and professionally manage all aspects of the program with our award-winning tool. "Sabre Hotel RFP has really impressed me. So much that if I hear one of my accounts is having problems with their current RFP tool, I immediately suggest Sabre Hotel RFP." Contact Sabre Hotel RFP to request a demonstration or speak with the team.